After the first preview for ARK Survival Evolved was released I eagerly anticipated its release through Xbox One’s game preview program. 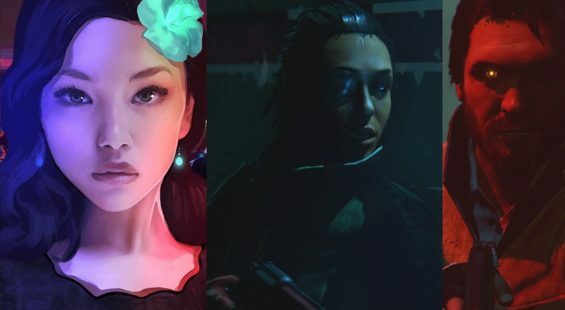 The concept felt fresh, innovative and had that addicting appeal so many games lack. 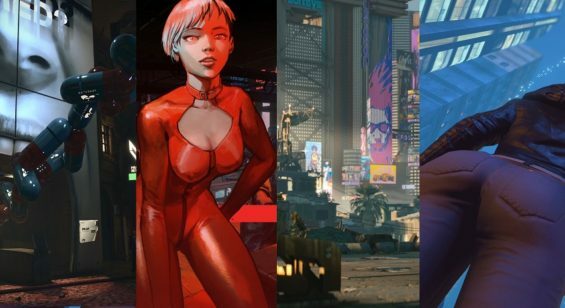 Last month our commander and chief Rob Cram delved into the single player and offered up some tips and tricks for playing PvE, but only hitting on that portion of the game leaves a gaping hole in what the game is really geared towards. That isn’t to say it isn’t a blast, it just allows you to reach the end game without much of anything else to do until new content is trickled out with updates. Continuation only happens when you add other players into the equation and survival becomes a group effort if you’re lucky enough to find some friends or like minded players. First timers in ARK will find the learning curve is steep as you forage for food, gain experience to unlock vital engrams that allow you to equip yourself to survive in an odd prehistoric environment and keep your distance from the vicious wildlife and rouge marauders. You’ll find yourself playing a game of stealth and running for your life during the first few hours until your level is high enough that makes other players think twice about attacking you. Until that point I suggest keeping your home off the beaten path and have a stash of resources you’ve collected near your home so if you die you don’t lose it all. Once you’ve established yourself it is time head out to find other players, but be on guard at all times because I’ve found over 80% of the time they’d sooner kill you for your goods rather than actually collaborate and form a tribe. The first time I saw a group of 5 players I skirted their camp for a couple of hours leaving signs that I was a friend rather than thief and was actually invited inside their walls only to be slaughtered. Lesson learned. Respawning brought me back to my main base and I set out for revenge. My low level of 20 compared to their 40+ left me wondering what I should do as I foraged for food. Then out of nowhere a couple of maniacs riding T-Rex’s came tearing down the beach, killed my Pachy mount and chased me off the beach. Luckily they had mics and I pleaded for mercy as well as some insight to the game. After a lengthy conversation I was invited into their tribe with stipulations that basically made me an indentured servant inside of ARK, but hey you gotta do what you gotta do to survive. Plus they offered to help me kill off that little 5 person clan & turn their base of operation to dust. How could I refuse? After watching them tear through my murderers (with great pleasure and laughter) I followed them to their base camp. This is where I saw what PvP is all about, community. Everyone had a job which contributed to everyone’s XP and the group was well organized through Reddit. 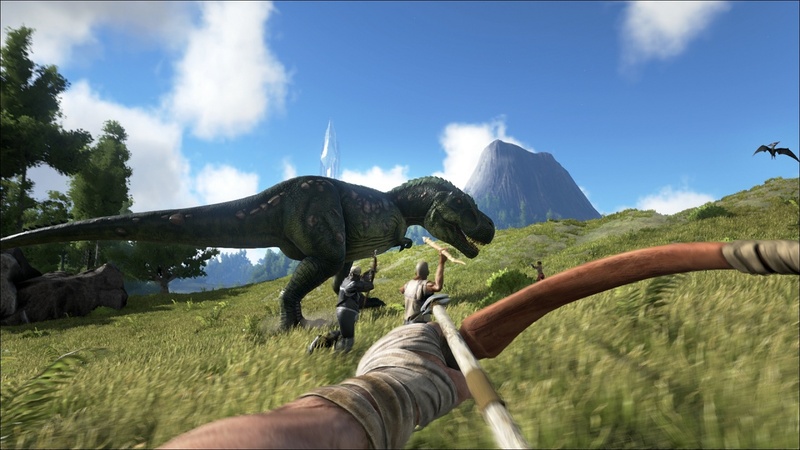 As the hours passed, my insight into how PvP was the true end game of ARK was realized. Once you are the top of the food chain the only other thing to do is to continue to maintain your dominance and enforce it on others that venture too close to your territory or wish to take advantage of your resource rich area. Raids on bordering tribes were organized, executed with military precision, and met with mixed results. Sometimes losses were minimal and the tribe gained key resources to mine and other times casualties were immense. Casualties mean lost time and in ARK, time is the most precious commodity. It takes time to farm crops, hunt for food, feed your animal helpers, and tame & train mounts. Taking things by force isn’t the only way to gain those specific supplies needed to upgrade and succeed. Having allies outside of your tribe is just as important as keeping your workhorse dinos alive and well. The way the island is set up various things are abundant in one area and scarce in another so you’re hard pressed to find that perfect spot for a base camp. You may sit in a hot bed of rock filled with metal, but have very few trees and shrubs near your base. The tribe at the base of the mountain has more wood & thatch than they know what to do with so it only makes sense to barter and come to a peaceful agreement that benefits both groups of ARK survivors. Once that connection and rapport is established your Capitalist community thrives and has one less force to worry about. 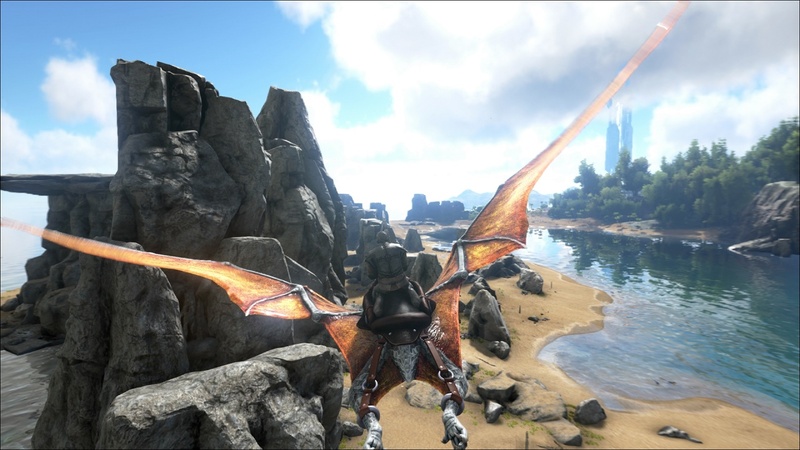 ARK’s PvP on a smaller scale is much more challenging since fewer hands means fewer harvested resources. Building secure bases takes time, and as mentioned before time is precious when threatened by raiders or a group of pissed off dinos. Even when you have that metal home base built, tamed work animals, and a store house of resources, the lack of personnel to manage the base can be devastating. I don’t know how many times I’d log back into ARK only to have my small tribe have to start from scratch because our base was destroyed while we were offline. Nothing is more infuriating to see your hard work destroyed while you were actually out in the real world doing a job that doesn’t consist of holding a controller in your hand. I’d love to be able to quit my job and make a life of ARK, but who is going to pay my internet? All games have flaws within their design which makes it easier to overlook ARK’s failings especially when it “technically” isn’t finished yet. PvE is a blast, but once you’re at the top things get stale and repetitive. 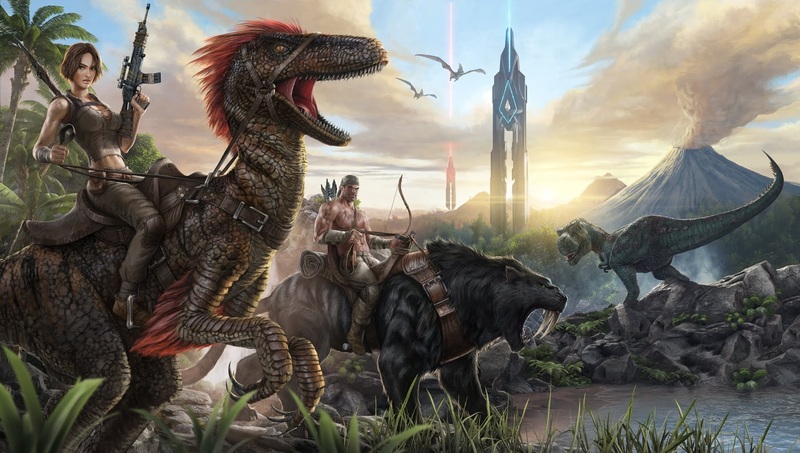 ARK Survival Evolved didn’t just tack on PvP as an extra, but as an extension to playing solo to change how you play, how you think, and ultimately survive against others trying to accomplish the same thing. 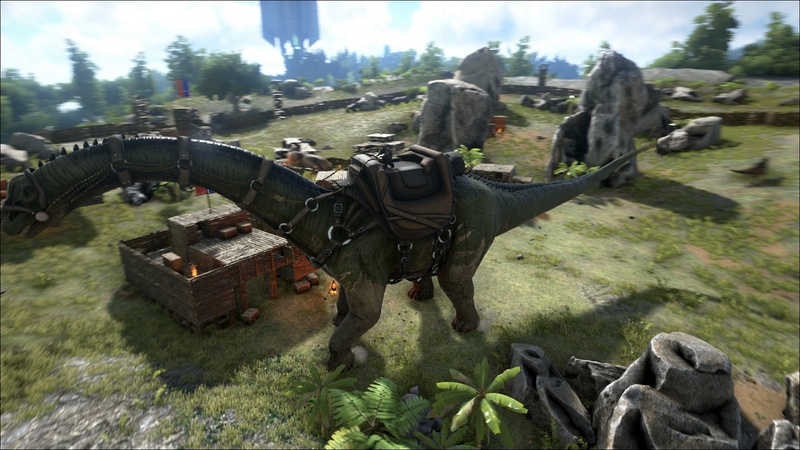 As Studio Wildcard continues to tweak and develop ARK, players can expect to only become more engrossed in a game that is so addicting you barely realize you’ve spent hours online. I barely wanted to put my controller down to write this review so I know that once this finished product rolls out I may have to find a sugar momma to fund my ARK addiction. Preview code supplied by Microsoft Xbox. Jake is our long standing North American based writer and player of many video game genres. Jake is equally fair and critical in good proportion and tells it like it is.